Even though most of us have heard that it’s not safe for kids to ride in the front seat, millions of adults in the United States put their kids up front every day. About 6 percent of all kids under 12 are riding in the front seat, according to February 2004 statistics from the National Safety Council. The proportion is even higher among newborns! Thankfully, the use of carseats has increased, but more than 1 in 4 kids who should be in carseats are still left unprotected, according to February 2004 statistics of the National Highway Traffic Safety Administration. And of those who think they are adequately protecting their kids, 73 percent have placed the child in the carseat improperly – usually with the harness straps too loose or the carseat not properly attached to the vehicle seat. The situation with booster seats is even worse. Fully 80 percent of the kids who should be in booster seats are missing out on this important protection. 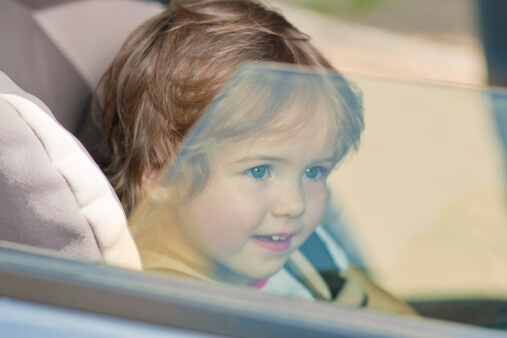 Car safety is one of the simplest, most important gifts we can give our children.